We did it! Thank you everyone for liking, commenting and sharing our photo in this Facebook photo contest! 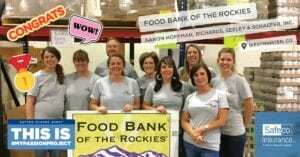 You helped us win a $2,000 donation for Food Bank of the Rockies! And thank you so much to Safeco Insurance for helping us support and draw attention to charities in our community! The people have spoken and RSS is the winner of Safeco’s first #MyPassionProject, also known as the Safeco Change Agents contest. As the winner of this photo contest, Safeco Insurance will be donating $2,000 to Food Bank of the Rockies. $2,000 will provide 8,000 meals for families in our community! We are super excited and thrilled that we will be able to deliver a check to this awesome charity sometime during the next month. 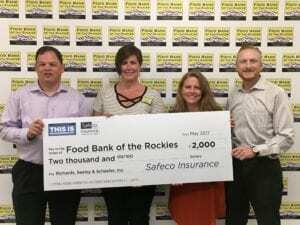 RSS was proud and honored to be named a Safeco Insurance Change Agents finalist for our volunteer work with Food Bank of the Rockies last week. We were selected from independent agents across the country. 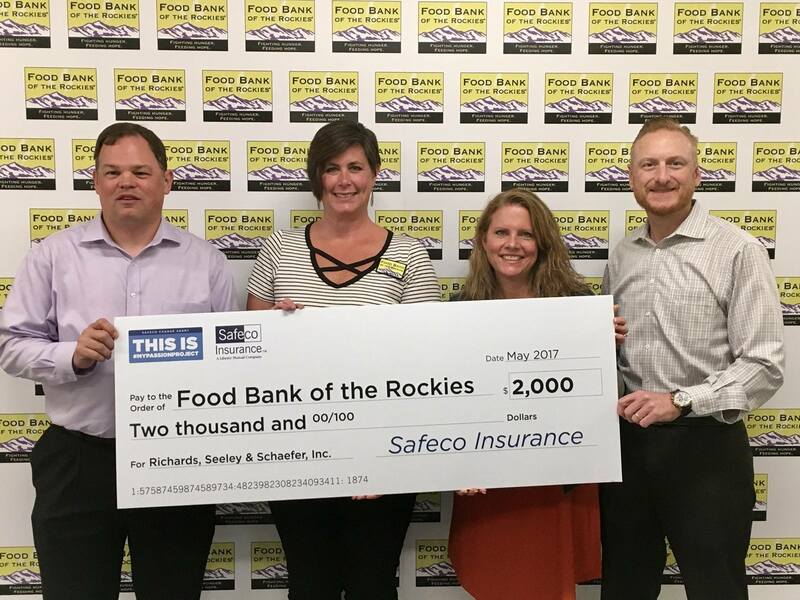 Safeco Insurance started a new program this spring to highlight agents that volunteer to support causes and organizations that are meaningful to them. They’re calling it their “Passion Projects.” Every six weeks Safeco will introduce a new theme, such as food security, health awareness, or fire prevention. The first charitable theme to be recognized this year was food security, focusing on the volunteerism of agents at local food banks, pantries or community kitchens. We encourage you to learn more about this great organization and what they do in our community. Thank you Food Bank of the Rockies for your work in our community, thank you Safeco Insurance for starting a program to draw awareness to local charities across our nation, and thank you to everyone who liked and commented on the Facebook photo to help us win $2,000 for Food Bank of the Rockies! !